Freedom, originally uploaded by EcoSnake. 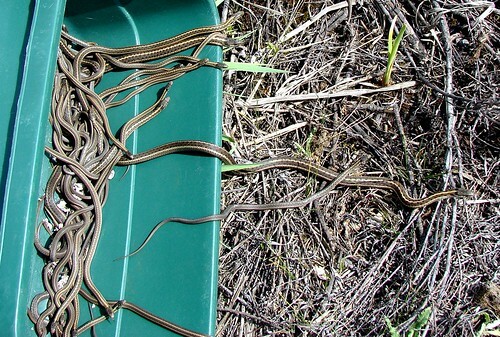 for the garter snakes rescued last January from a basement. They have been hibernating in quarrantine conditions since then. Todaly they were released in an area within their home range. Western wandering terrestrial garter snakes (Thamnophis elegans vagrans).